Just because you’re not a contestant on the show doesn’t mean you can’t win your own weight-loss battle at home. 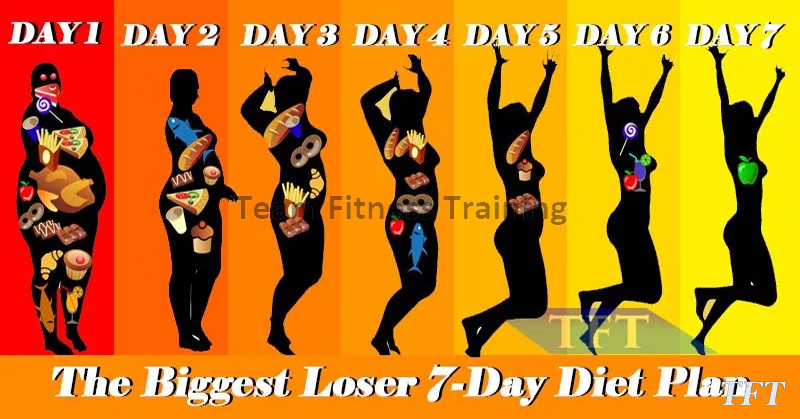 To help you get started, we asked The Biggest Loser nutritionist Cheryl Forberg, RD, to design this seven-day meal plan, which is just like the one that helps the competitors slim down. With delicious recipes and easy tips, you’re sure to lose weight in no time. This is no deprivation diet: You’ll eat three meals and two snacks daily, plus each dish packs a filling balance of 45 percent carbohydrates, 30 percent protein, and 25 percent healthy fats. When it comes to drinks, Forberg recommends sticking to no- and low-cal picks like coffee, tea, and water. And to accelerate weight loss, The Biggest Loser trainer Bob Harper suggests doing 60 to 90 minutes of moderate exercise four times a week. So get motivated, get started, and get ready to watch your weight drop!